UFO was created by Gerry Anderson and Sylvia Anderson. The show details the ongoing covert efforts of a government defence organisation ( S.H.A.D.O ) to prevent an alien invasion of the Earth. Following syndication in the US and initial favourable ratings, a possible second series was planned; initially entitled UFO 1999, this eventually became Space: 1999. Timelash – Cmdr Ed Straker and Col Virginia Lake disappear and are discovered unconscious near the dead body of a Shado operative. Col Foster and others try to understand what has happened. 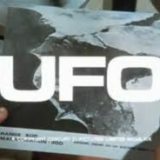 Straker picks up Lake at night, and as the pair drive they observe a UFO, which is following them, The UFO attacks them and pushes them off the road and they are hit with some beam. When they arrive back at the studio gate, it’s mid-day, with a bright sun. ESP – John Croxley is a man with ESP, which enables him to read the minds of other people. One day, following a fight with a UFO craft, the UFO crashes into and destroys Croxley’s house, killing his wife. Holding Foster responsible for his bereavement, Croxley uses his powers to read Foster’s mind and find out all about SHADO, which he intends to destroy.